There’s been a major twist to the controversial application by Heart of England Co-op for houses to be built on Oakfield Rec in Rugby. With the campaign group Save Oakfield counting down to an appeal by the Co-op over Rugby Borough Council’s refusal of permission for the plan next month, news has broken that the Co-op has withdrawn from the appeal process - but will come back with a new application. A statement released by Save Oakfield this afternoon said: “The Planning Inspectorate has now confirmed that the case file has been closed. This is great news for the community of New Bilton that has been instrumental in successfully protecting Oakfield against development. The committee statement continued: “What this future application involves and its impact remains unclear, as does the immediate future of the fence. Save Oakfield’s position is clear – we continue to oppose the loss of the amenity green space and will strive to make it available again as soon as possible. Fellow committee member Mark Norton added: “Our local Council has regularly indicated its desire to purchase Oakfield Rec. 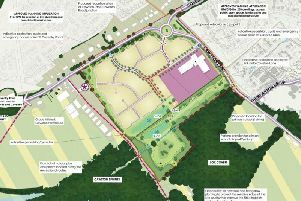 There is a shortage of amenity green space in Rugby generally, not least of all in New Bilton, and development of Oakfield is very unwelcome. “The Co-op has a very clear choice at this stage. If it chooses to submit another planning application, it is choosing to do more damage to its reputation as a business with ethics.